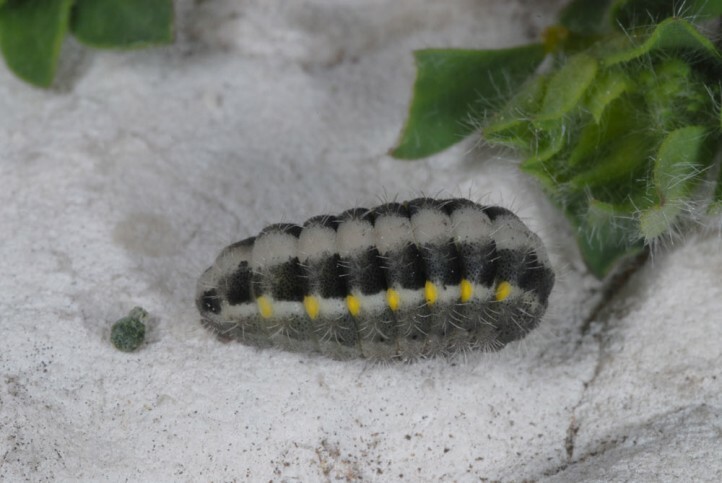 The larvae feed especially on Lotus species. 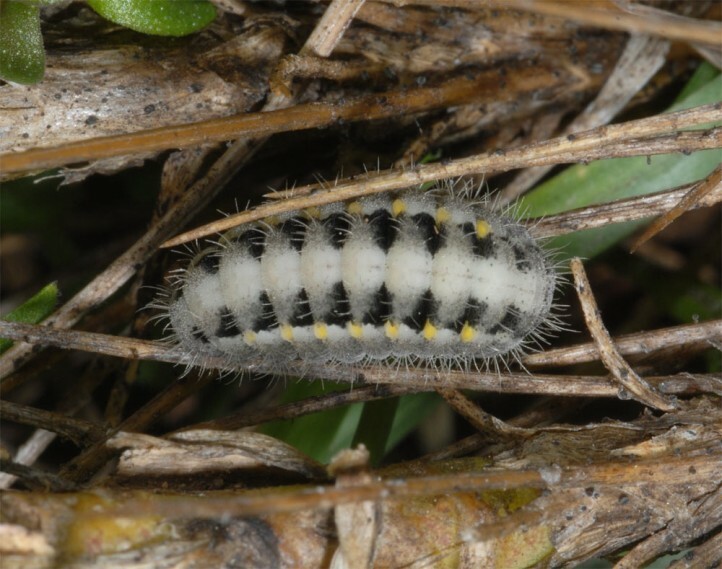 Besides the literature gives Onobrychis. 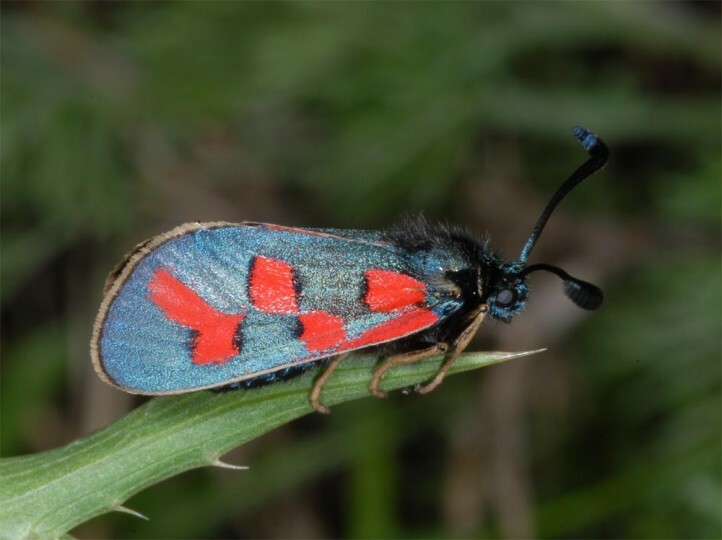 Zygaena oxytropis inhabits nutrient-poor grasslands of all kinds as embankments, mountain slopes, woodland edges or pastures. 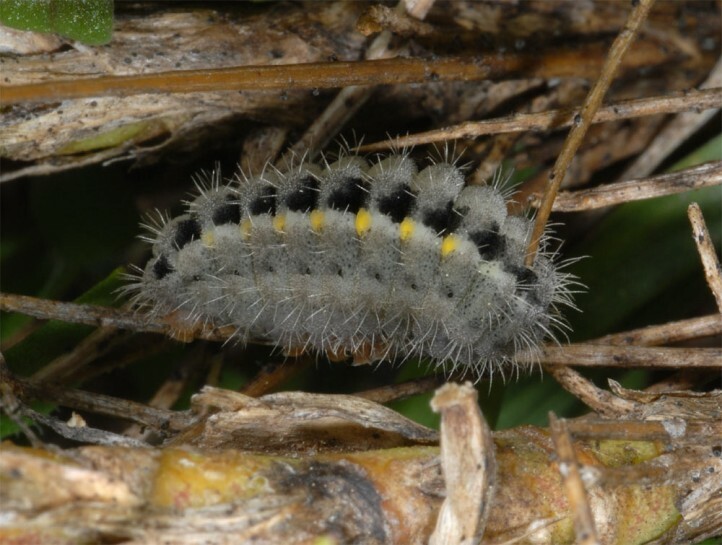 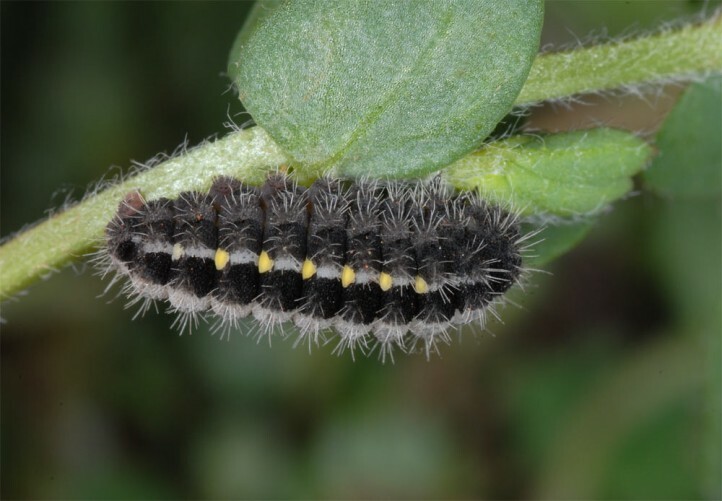 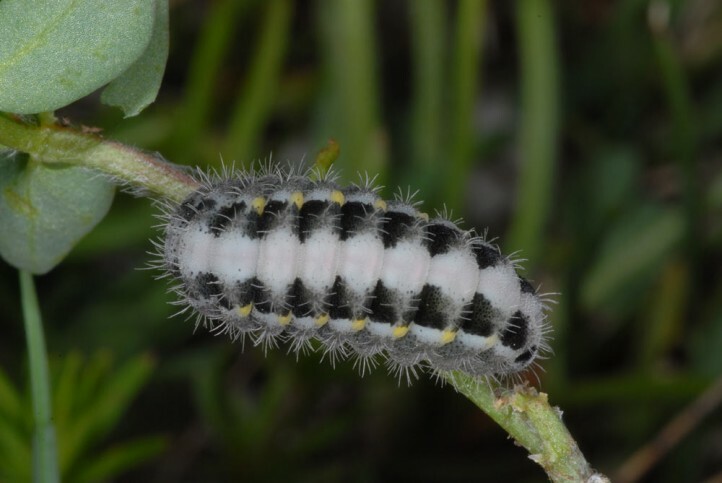 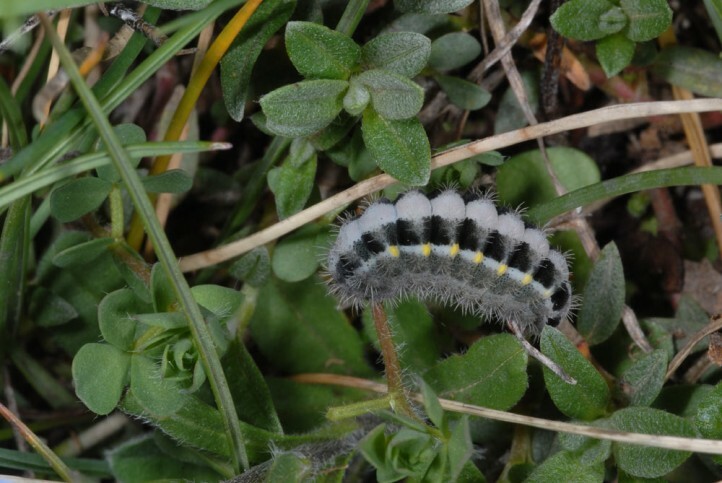 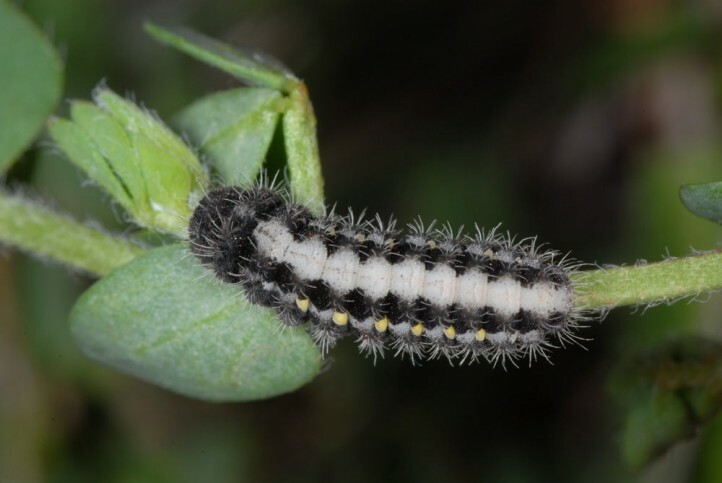 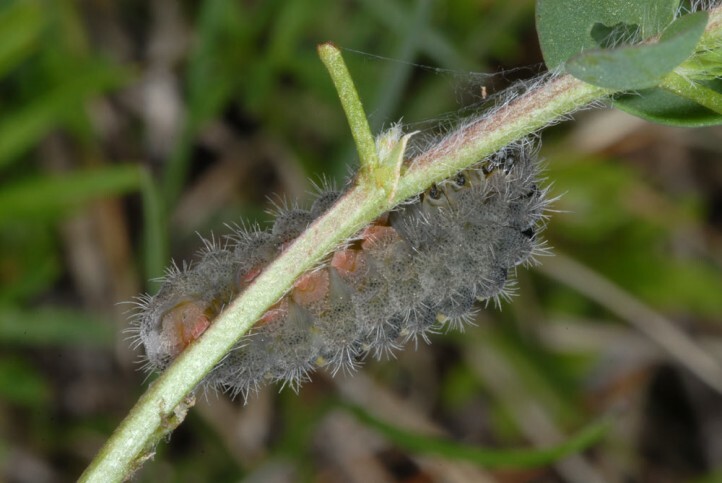 The larvae prefer especially in higher altitudes warm microclimatic conditions like stony and steep slopes. 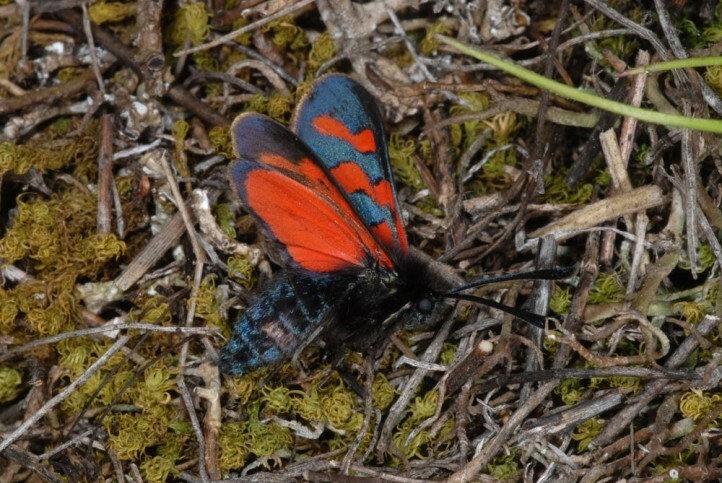 The adults are on the wing between May and July, according to altitude. 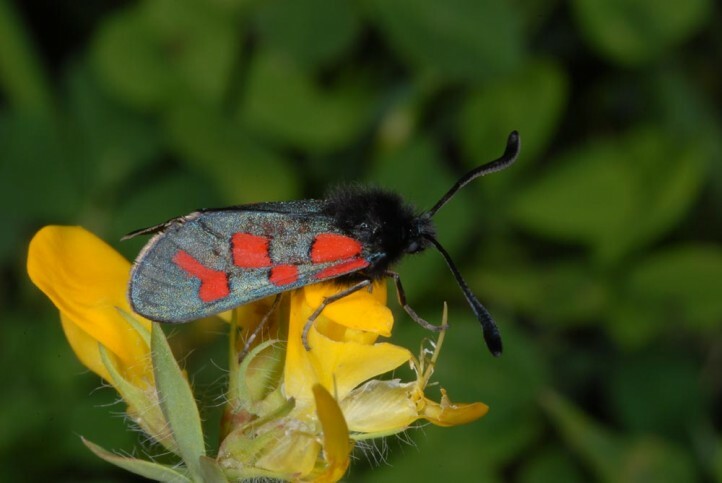 They often visit flowers as it is the case with most burnets, so also often the flowers of the larval host plant Lotus. 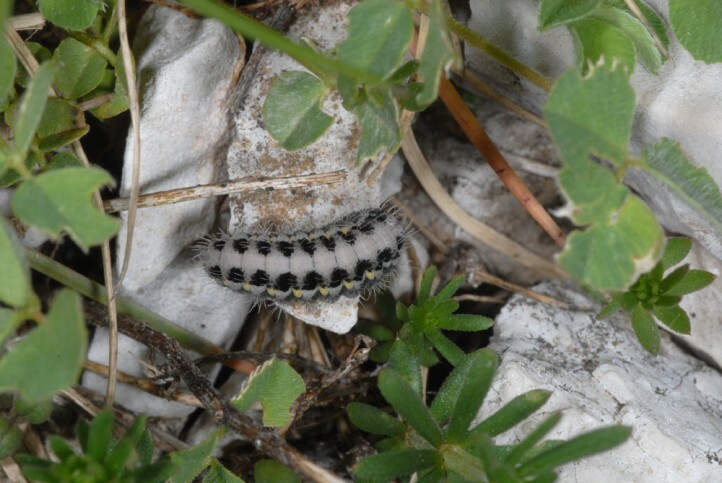 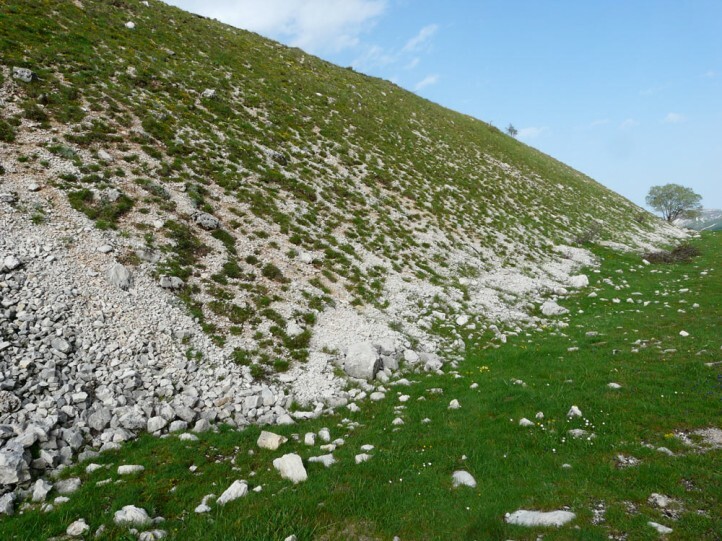 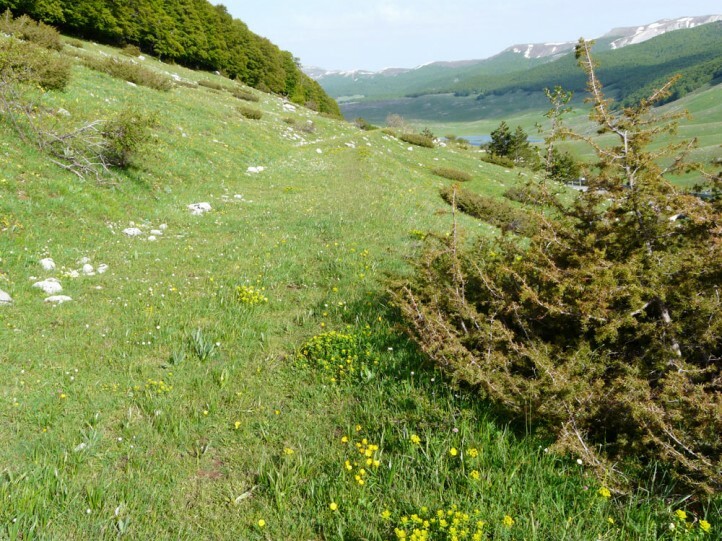 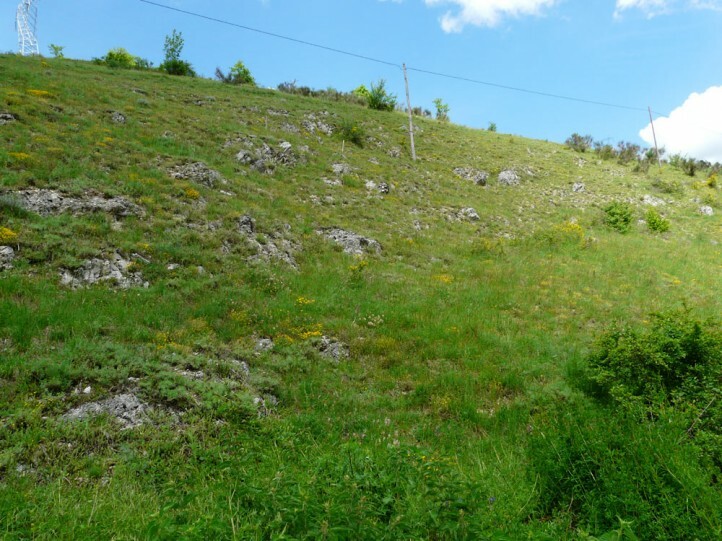 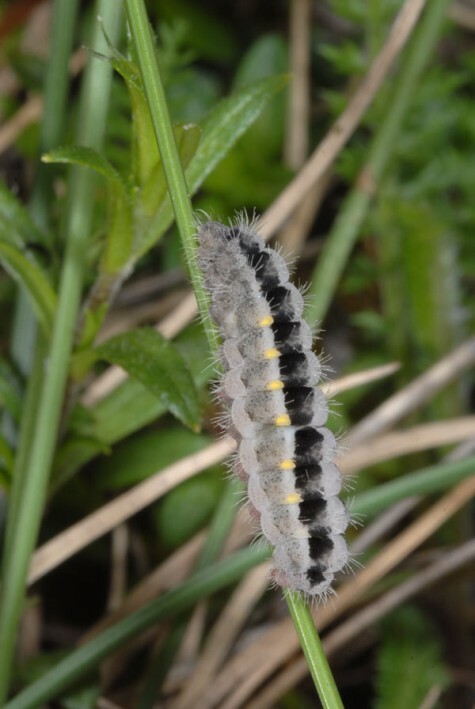 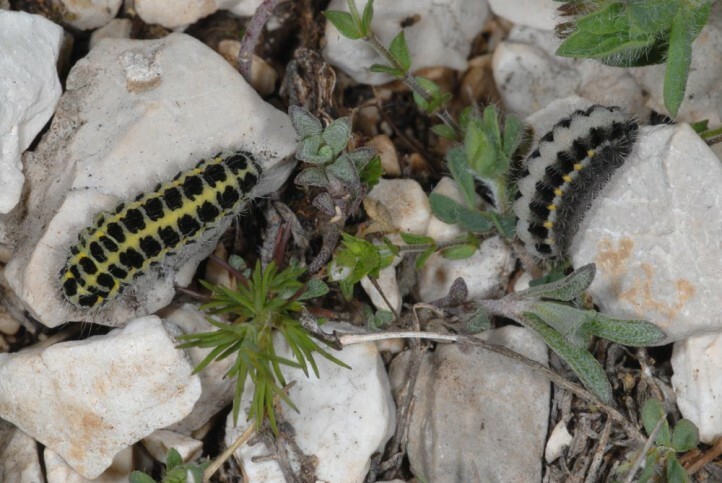 In the Abruzzes (L'Aquila) I found adults in lower altitudes (700-1000m asl) in mid-May 2013, whereas in higher ones (1500-2000m asl) still many larvae could be observed. 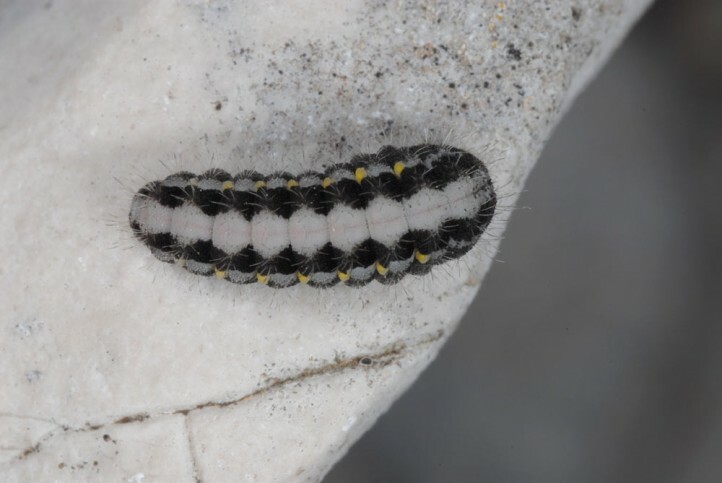 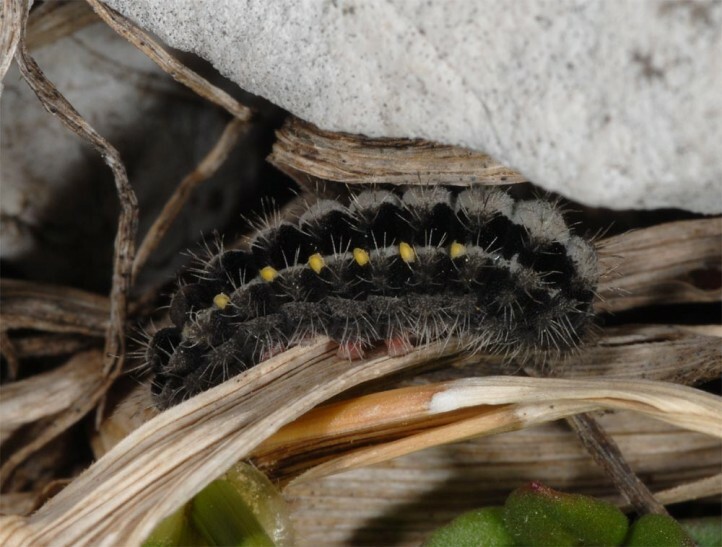 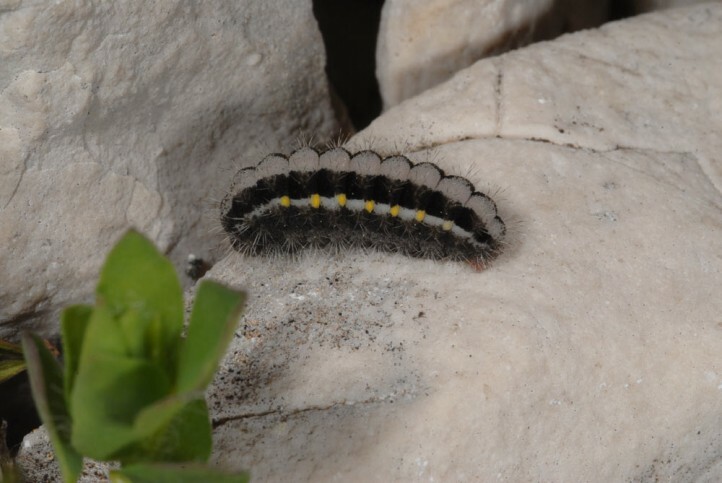 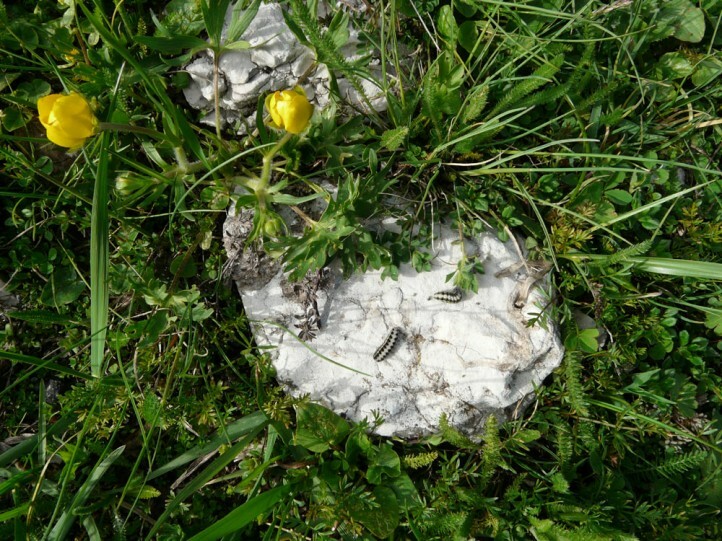 The caterpillars often sunbath on limestone or open soil. 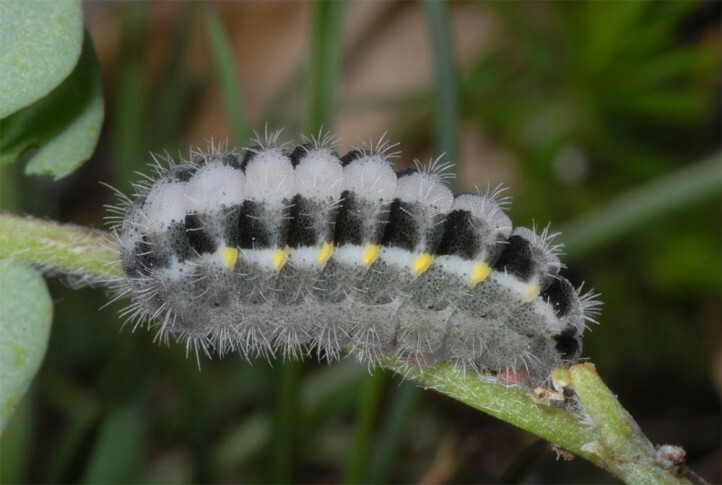 In the lowlands they should be mature as early as late March or April. 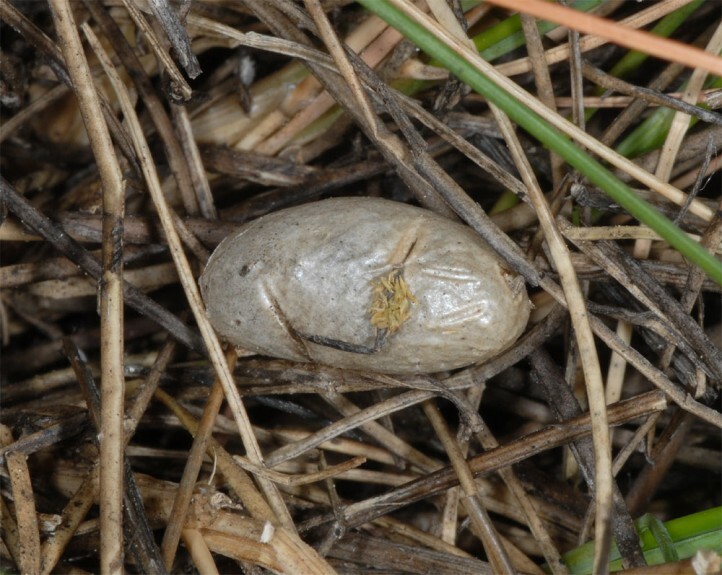 The cocoons are constructed near the ground in the litter or in grass tussocks (some field observations). 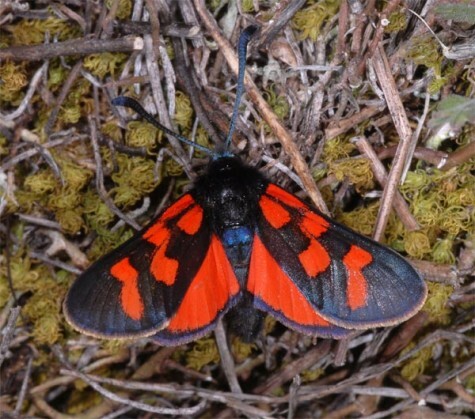 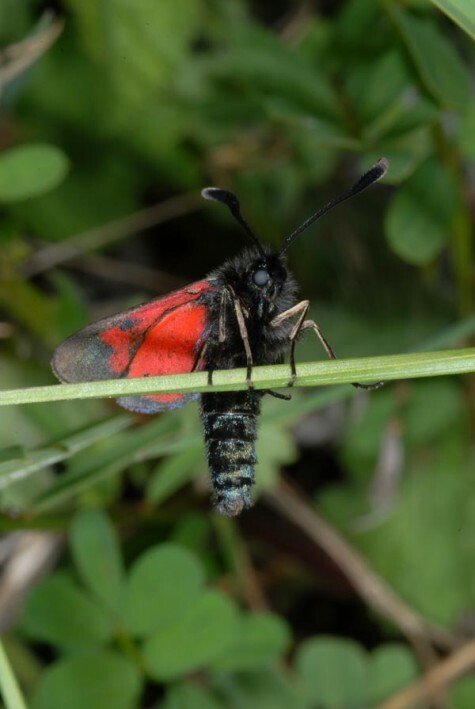 Zygaena oxytropis is not specially endangered at the moment, even if it suffers from habitat loss mostly in the lower altitudes as it is the case with nearly all species. 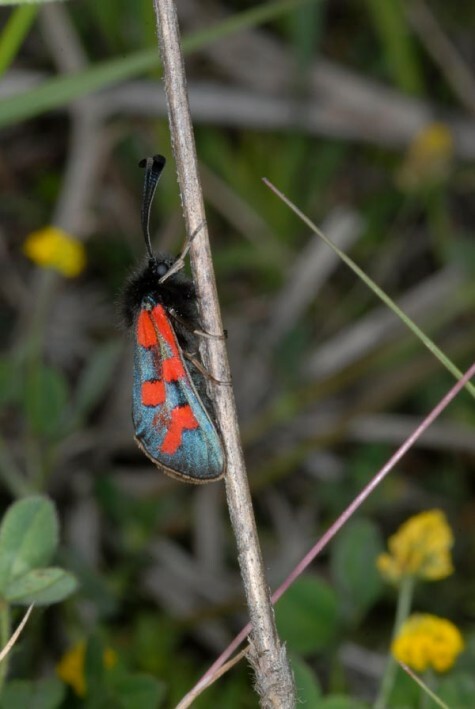 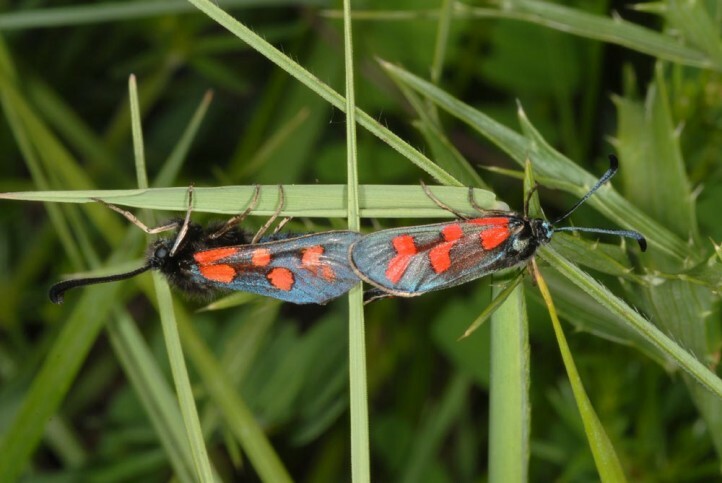 Zygaena oxytropis is endemic to Italy and quite widespread and common there (0-2100m asl). 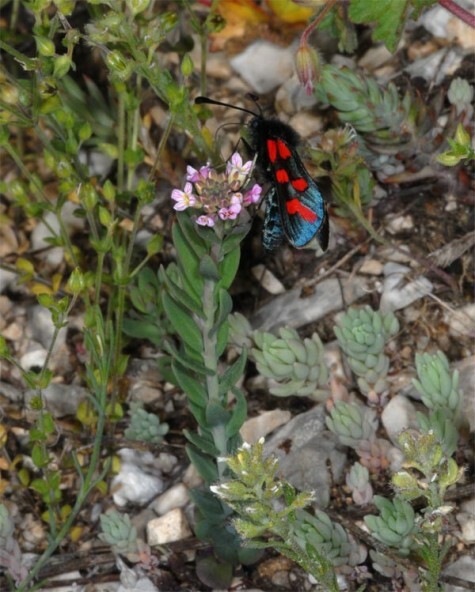 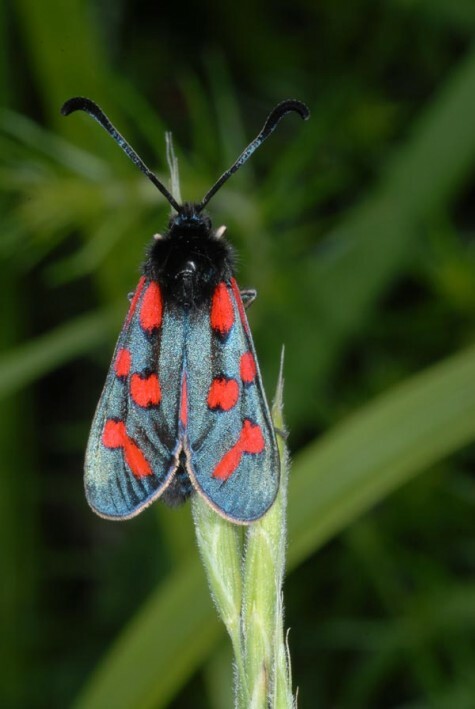 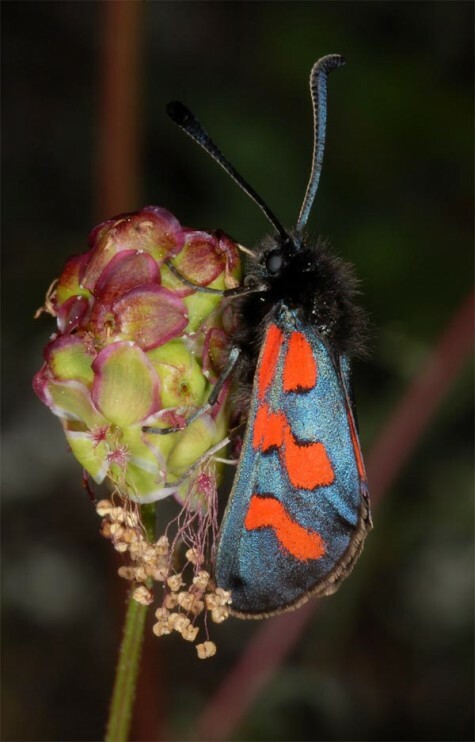 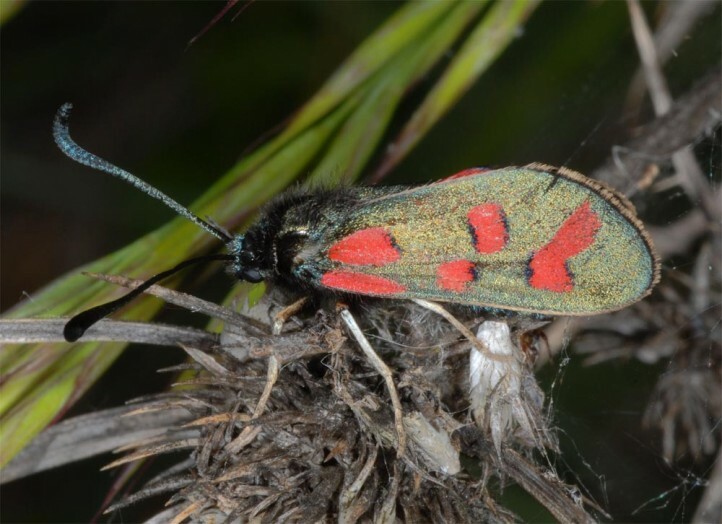 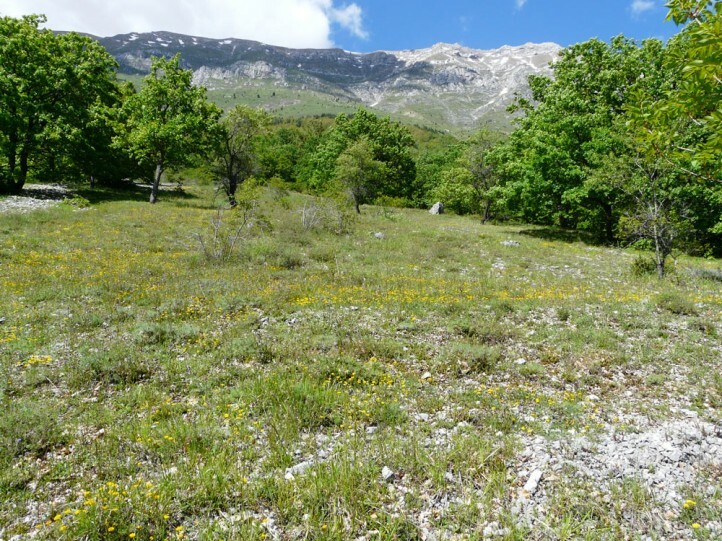 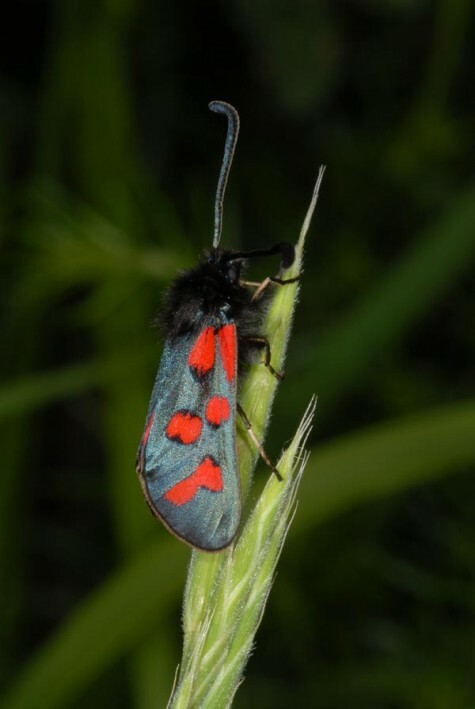 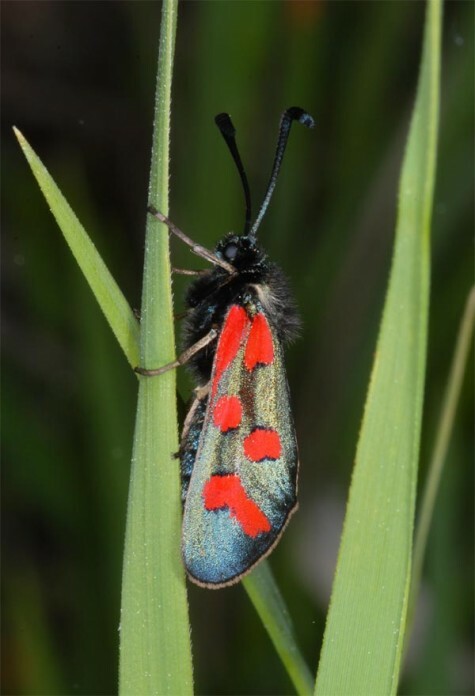 It misses in the Alps and the Padovian plains, but is found in Liguria where it is sympatrical with the very closely related Zygaena rhadamanthus.